Needless to say, my answer was prefaced by a long pause – I didn’t prepare for that one. I fielded well over 30 questions by my estimation. The vast majority of questions were surprisingly keen and perceptive. I have spoken to kids before about solar energy, but a raucous crowd of ten year-old kids can really get excitable. As usual, three or four students had their hands straight up, as if they were trying to touch the sun, just about the entire presentation. I was definitely not one of those kids, preferring to sit in the back of the class, staying in the shade of the teacher’s visual range. 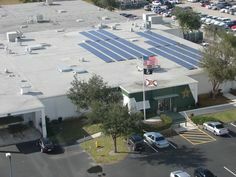 How many solar panels does it take to make power for a hotel? What about a condo? An apartment? Can the solar panels get broken? Can you change just one solar panel if it breaks? What happens in a hurricane? What if a solar panel comes off the roof? How big can a solar panel be? Why don’t cars have solar panels on them? How small can a solar panel be? Do solar panels come in different colors? 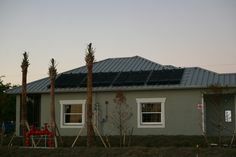 Why would you want a solar water heating panel instead of a solar electric panel? How does the water get from the pipes (headers) into the small tubes in a solar pool heating panel? 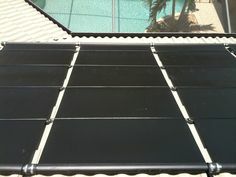 How does a solar pool heating panel get put together? What’s struck me the most is how similar the questions are to those asked by adults – customers! I get the sense that kids just “get it.” Perhaps they have been taught about solar panels or have seen them on TV or the Internet. They are growing up understanding that we have a great selection of energy choices, and we don’t need to accept the status quo. They have a great sense about relationship between energy, money, and sustainability. The greatest challenge for my industry, particularly here in Florida, is educating the public about how the products my company sells work. The next generations may not need the same degree of education to embrace solar energy. For now, I’m relying on the “Burrowing Owls” of Tanglewood Elementary to take the message home to their families! Note: A special thanks to Jennifer Lusk for making arrangements for me to speak today. I really enjoyed it. Brilliant. I’m heartened. And inspired.